The day after; I posted her comments on my blog, I got the following email from Phyllis Kessler, President of the South Florida Celiac Support Group. You won’t believe why she is so upset about me and Gluten Dude stating that GF Cheerios are not safe. The conflict of interest is glaring! I emailed her back and thanked her for her apology; urging her to read the Gluten Free Watchdog Report about the cleaning process and testing processes that General Mills is using. It is clear that she is more concerned about her “dear friend” than she is her fellow Celiacs. *for previous posts, you can scroll down to see last weeks email I got. 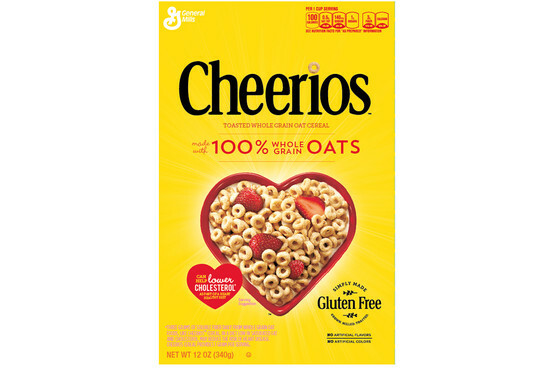 Or see my blog posts under Celiac Disease and GF Cheerios. As many of our newsletter subscribers know, I posted some information from Gluten Free Watchdog last month about GF Cheerios and why GF Watchdog feels that they are not safe; due test results and the way they are testing them. Today, I sent my final thoughts about it in my newsletter; after I read GF Watchdog’s final analysis. I stated my opinion as to why I felt they are not safe and also gave a link to Gluten Dude’s blog post as well, because I like to give my readers other opinions when I can. Below is what I said and the link to Gluten Dude’s post. So in the interest of showing both sides of this, I have posted the incredibly rude and insulting email that I got directly from Phyllis Kessler, President of the South FL Celiac Support Group. I am guessing she is not happy with me or Gluten Dude; you be the judge! This hate campaign really needs to stop! As a celiac I have had zero reaction. has had anything bad to say. I am sorry that you feel that my informational post is a “hate campaign”. All I want is “safe” cheerios and currently their testing is not safe and no other GF products are using that method of testing because the results can be skewed. If you read the GF Watchdog post or clicked on the links in “Gluten Dude’s Blog” you might understand this. Just because you have not gotten sick does not mean others have not. I don’t eat them and never said that I ate them or that I got sick. I said that some customers have reported getting sick (then they are asking me what I know about them). I won’t try them because I am one of the Celiacs who reacts to Oats even GF Oats. I have been a Celiac for over 27 years and my job is to make sure others don’t get sick too. I also have a milk allergy, so, no; I would not be eating the oats or ingesting milk, as you suggest! The choice is yours to make and I think that was made very clear in Gluten Dude’s blog. Calling it a hate campaign is certainly not fair. If you were getting sick from them you; would be screaming for someone to do something about it…wouldn’t you? Are you a Celiac or are you just Gluten Sensitive? I have way more than 3,500 followers (subscribers to my newsletter) and I feed almost that many each month in my cafe, deli and bakery….and no, GF Cheerios won’t be on my menu because I am certified GF to 5ppm and GF Cheerios would never test that low! Also, my facility is free of Oats. Your response was rude…..I don’t overeat and I don’t eat Oats, GF Cheerios or Milk due to a severe Milk Allergy. If you want to attack me, please get your facts straight first and keep the personal assaults out of it. That type of thing is beneath you or anyone. Celiac Disease; the Clue to How Other Diseases Work and How to Stop Them! “Free From” Restaurants and Bakeries in the US and Canada Who Are Doing It Right! I often hear customers say, “There is no place safe to eat”. Well, that frustrates me because although this was true a few years ago; that is not the case anymore! Last June, Allergic Living Magazine was kind enough to feature us in a story about restaurants who are “allergy aware”; saying we are “The Ultimate Spot for a Safe Meal”. While I am grateful to them for including us, they downplayed what we do and made us look like an afterthought; not a “legitimate restaurant”, as compared to the allergen filled restaurants who they were featuring. Allergic Living put the focus on restaurants who have allergens in them and not on the ones like One Dish Cuisine Cafe, Deli and Bakery who are dedicated to being “free from” allergens. There are a few of us out there who are really doing it right by committing to being totally free of many allergens. Unfortunately, Allergic Living missed the bigger story that was there to be told. There are enough places serving food without any allergens present in their facility to have made a very nice story (if they wanted to do the research and really serve their readers interests). So, I am going to attempt to get the word out and highlight some of the places that are free from gluten and the top 8 along with some others who are free from some allergens. I am also going to direct you to some websites that will help you find safe havens for a meal or a treat when you are out and about. The people who own these restaurants and bakeries are making a difference and so are the people who put up these websites to help us find them. Let’s go out of our way to find them and support what they are doing; which is making our lives easier and safer. -Zero 8 Restaurant: Montreal, Canada (closed 2 years ago but re-opening as a steak house after a crowdfunding campaign; free from gluten and the top 8). -Twist Bakery Cafe: Millis, MA USA Bakery and Restaurant Free of Gluten, Nuts & Peanuts. http://www.allergyeats.com: great site that addresses gluten and top allergens. Note: I wish they would put a dedicated facilities search button in and also wish they would cover Canada and other Countries. Also, for example; One Dish Cuisine Cafe, Deli and Bakery should be under the bakery category and the restaurant category, because we do both, but they won’t list us twice. How is this policy helpful to the person with food allergies or celiac disease who might only be searching for a safe bakery in Maryland? Well it is not helpful to them because they won’t find us if they are in the bakery app because AllergyEats will only list us under the restaurant app. We do both and should be listed under both. So, make sure you look under bakeries and restaurants when using this app or you can miss some places. http://www.allergyfreepassport.com: Great for international travel and addresses food allergies with safe places for dining and safe bakeries in all countries and lists what the facility is free of. We are listed under bakeries and restaurants. http://www.findmeglutenfree.com: by city or state in the US and it has a dedicated facilities search button. However, I wish that they did not consider a place with gluten in it to be a dedicated facility just because they have a separate prep area. Gluten is found in flour which is hard to contain and is airborne. http://www.glutenfreetravelsite.com: Great site to search by city or state and it also covers other countries. It has a dedicated GF facilities icon that will show up when the facility is completely free of gluten. This has a great section about Colleges too! http://www.glutenfreepassport.com: Great for international travel. Search by city, state or country and lists out restaurants and bakeries too. We are listed in both categories. Please share these resources with your friends and use them when you need a safe spot to eat. 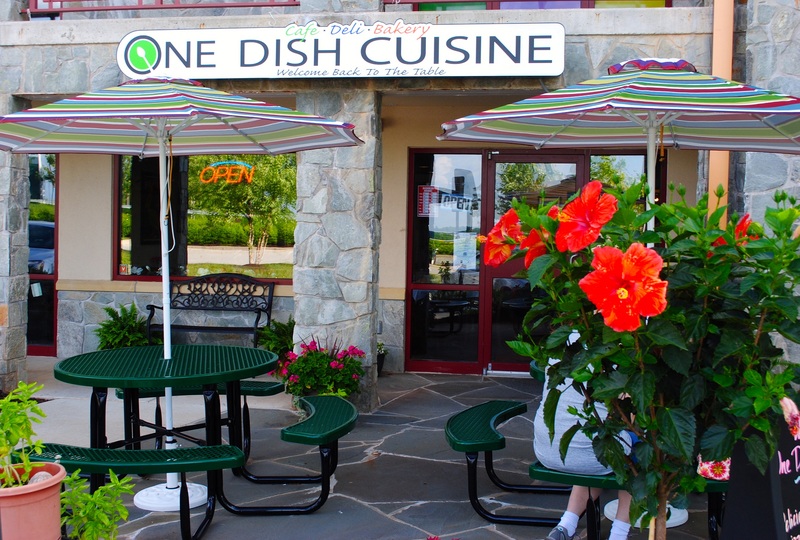 So, on behalf of One Dish Cuisine, Welcome Back to the Table.